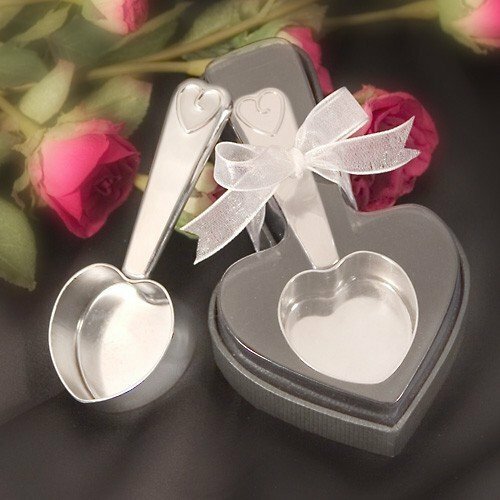 These heart-shaped stainless steel coffee scoops are both useful and fun! Guests will remember your big day each time they make themselves a perfect pot of coffee with this handy scoop. Each coffee scoop measures about 1.5" x 3.5" and is packaged in a deluxe gift box that is tied with organza bow and heart shaped thank you hang tag. What a lovely wedding souvenir for your guests!